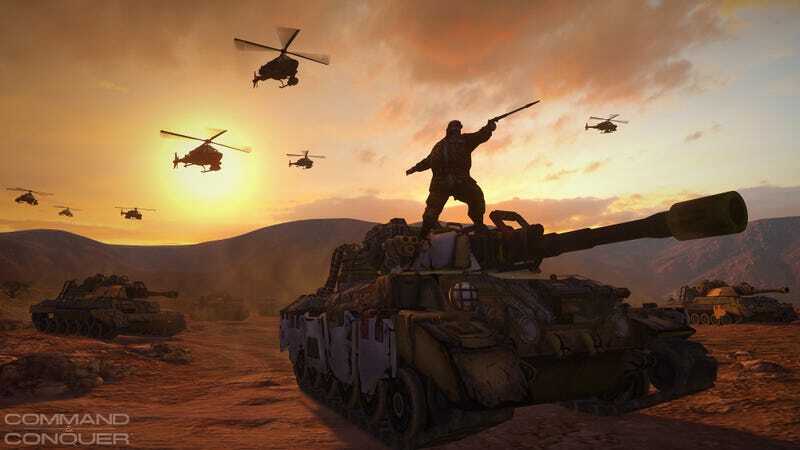 And another Command & Conquer game bites the dust: EA has just axed the latest in the longrunning strategy series, the company announced today. "Your feedback from the alpha trial is clear: We are not making the game you want to play," a rep for developer Victory Games wrote in a blog post published this afternoon. "That is why, after much difficult deliberation, we have decided to cease production of this version of the game." Originally announced as Command & Conquer: Generals 2 at the 2011 Spike VGAs, this incarnation of Command & Conquer was to be a free-to-play game for PC. It entered alpha during the summer. On top of the cancellation, as spotted by Polygon, employees of Victory Games are tweeting that EA has shut the studio down. Victory Games, an LA-based studio that has been working on this new Command & Conquer game for three years now, has not released any other games. Thank you for your participation over the last few months in the Command & Conquer closed alpha test. It’s been much appreciated, and you’ve been instrumental in helping define what a new Command & Conquer experience should and shouldn’t be. Part of being in a creative team is the understanding that not all of your choices are going to work out. In this case, we shifted the game away from campaign mode and built an economy-based, multiplayer experience. Your feedback from the alpha trial is clear: We are not making the game you want to play. That is why, after much difficult deliberation, we have decided to cease production of this version of the game. Although we deeply respect the great work done by our talented team, ultimately it’s about getting you the game you expect and deserve. Over the next 10 days we will be refunding any and all money spent in the alpha. If you have a question about your refund, please contact help.ea.com. We believe that Command & Conquer is a powerful franchise with huge potential and a great history, and we are determined to get the best game made as soon as possible. To that end, we have already begun looking at a number of alternatives to get the game back on track. We look forward to sharing more news about the franchise as it develops. Thank you again for your participation and support. This is the fourth Command & Conquer game to be cancelled in the past decade. Maybe the series is cursed? EA shut down Westwood Studios, the company behind the iconic real-time strategy series, back in 2003, and many fans would argue that the series has not been the same since.